Looking for fun FROZEN themed ideas or even just a cute winter themed idea? 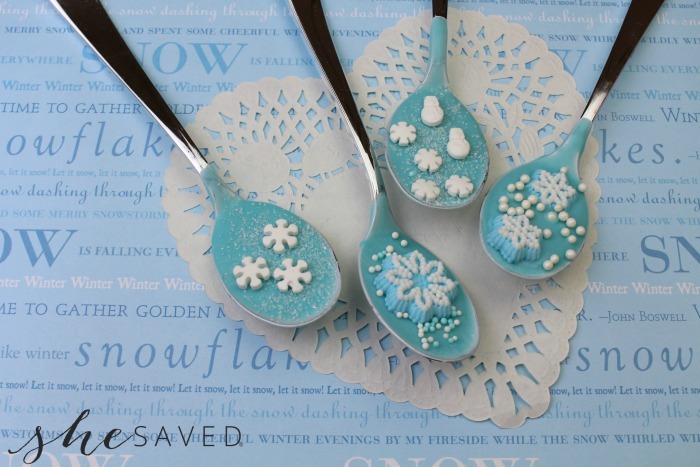 Check out these Hot Chocolate Spoons! Super easy to make, and so much fun. This project is so easy, and little ones will enjoy helping you place the edible snowflakes and sprinkles into the spoons. We like to make these spoons and cover them in plastic baggies, wrap with pretty ribbon and gift them along with a cute mug and some of our homemade Mexican Hot Chocolate Mix. 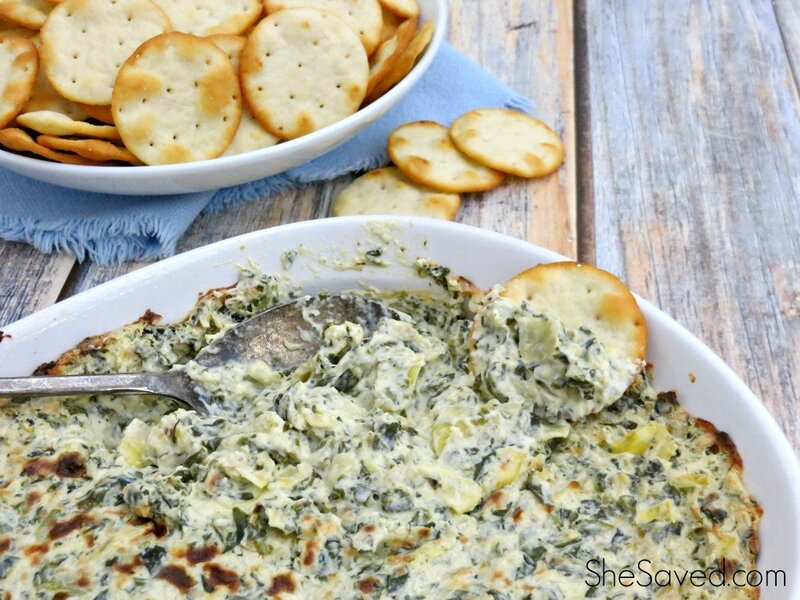 These might also go really cute with my Magical Party Dip which was also inspired by Disney’s FROZEN movie! 1. Line a baking sheet with wax paper. Set aside. 2. 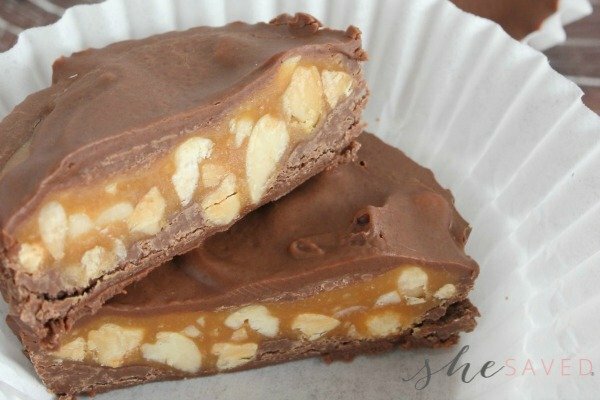 In a double boiler, melt the shortening. 3. Add the chocolate melts and stir continuously until completely melted. Let cool for 1 minute. 4. Dip each spoon into the melted chocolate, filling it completely. 5. Lay each spoon onto the baking sheet with the handle of the spoon over the edge of the baking sheet. This will help balance the spoon so the chocolate does not spill out before it sets. 6. 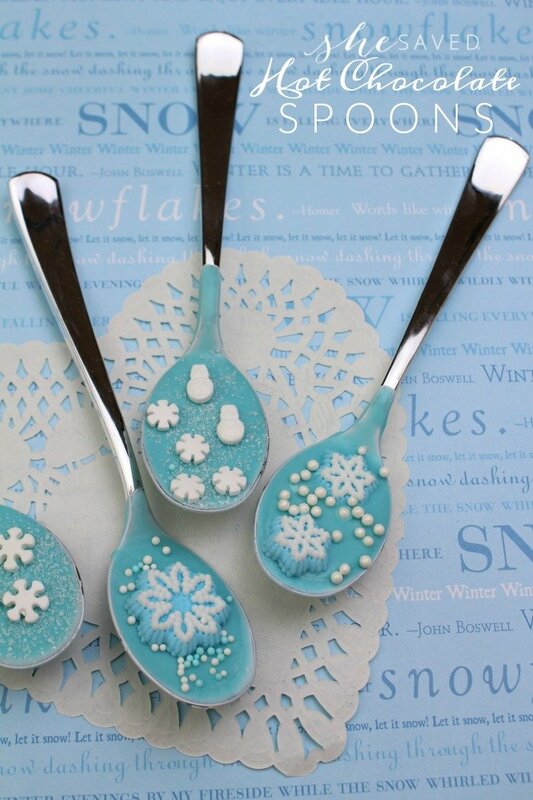 Sprinkle spoons with edible snowflakes, sprinkles, nonpareils, pearls, etc. You can even use sugar to add more “sparkle”. 7. Let each spoon”set” for at least 20 minutes. Fun and super easy, and a colorful (and yummy) way to add some pretty colors to your party table! « HOT Amazon Coupon! Score $25 off Your Order of $75 or MORE!